Naturalisation of Jews in England. 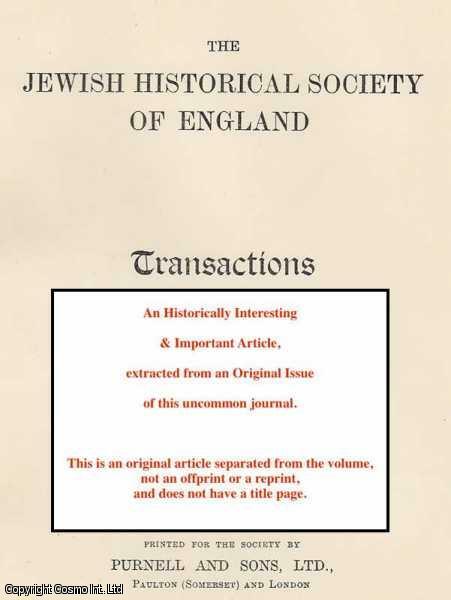 A rare original article from the Jewish Historical Society of England. - ROSS, J.M. ROSS, J.M. - Naturalisation of Jews in England. A rare original article from the Jewish Historical Society of England. Jewish Historical Society Transactions.. First Edition, Disbound. Very Good Condition. Octavo. 14pp, 1 plate. Note; this is an original article separated from the volume, not a reprint or copy. Quantity Available: 1. Category: Jewish Historical Society; Inventory No: 250377.